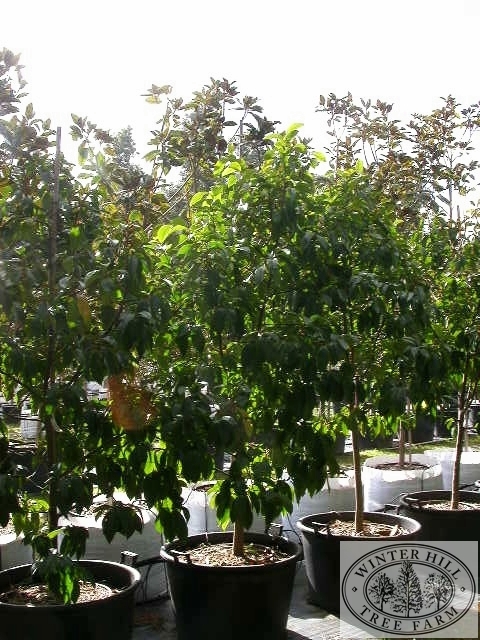 Evergreen pyramidal small tree reaching 4-5m, in sun to part shade. 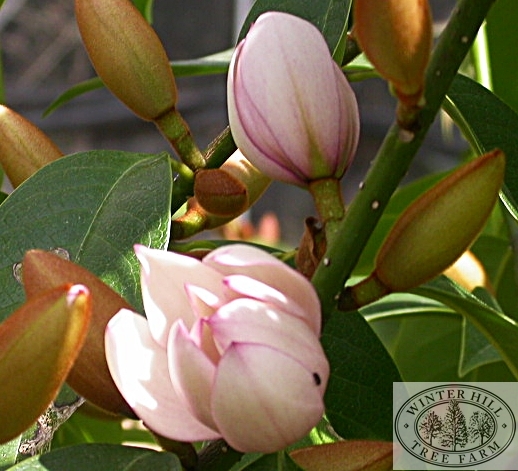 A cross between Michelia doltsopa and Michelia figo. 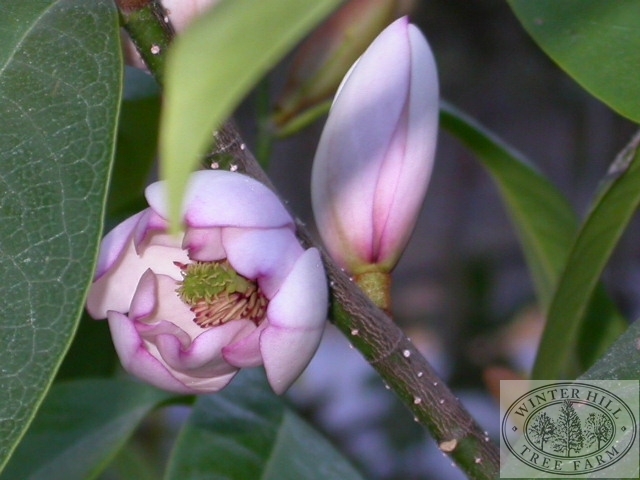 Handsome leaves and white flowers tinted pink at their tips, opening from attractive brown felted buds in late winter/early spring. Retains the Michelia figo fruity perfume.